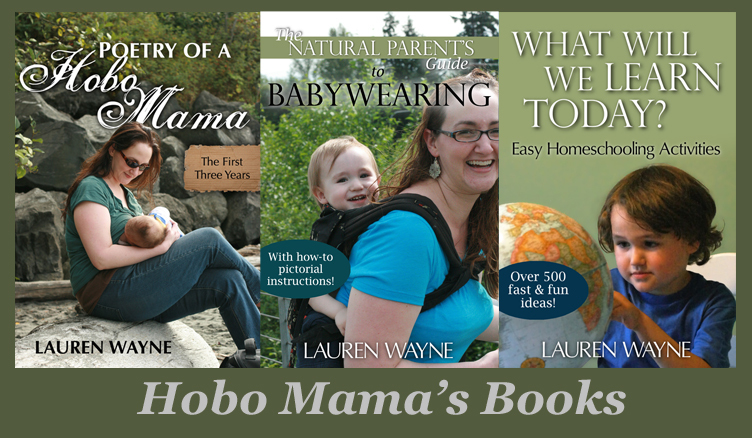 I am cross-posting this also here on Hobo Mama Reviews, but the giveaway is the same Rafflecopter entry system as that on Hobo Mama. Skinies is offering our readers a giveaway of a Skinies Slimming Open Cup Breastfeeding Cami, a value of $33. This unique open-cup design is a discreet underlayer for comfortable nursing in public at any bra size. When I first started breastfeeding, I really wanted a nursing cami — but my large cup size made it impractical. For one thing, it was pretty impossible to find one that fit. For another, I needed a lot more support than a simple shelf bra could give. I needed, in short, my own nursing bra on. When I discovered Skinies, through a giveaway win initially, I was so excited. It's like a supportive cami but with two holes cut out over your breasts: simple but ingenious. It gives the main advantages of a nursing cami — simple, streamlined coverage — but allows you to wear your own bra. This means it works for pretty much any cup size! 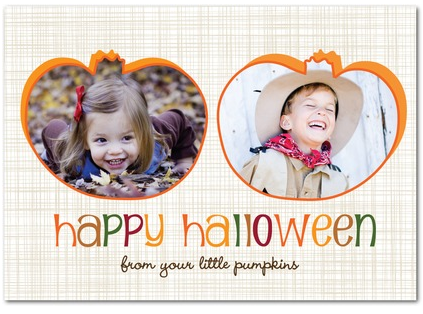 FREE Halloween greeting card — today only at Tiny Prints! 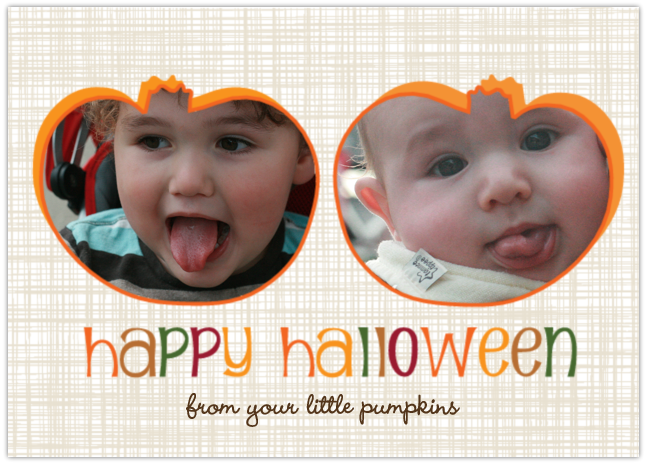 You can get a free custom Halloween card through tonight by liking Tiny Prints on Facebook. Clearly, this is the one I'm going to have to get for Grandma. Simply go to the Tiny Prints Facebook page, click like, and get a code to enter at checkout for your free card. Like Tiny Prints on Facebook. Enter code for FREE customizable Halloween card! Offer expires TODAY, October 6. You can personalize your card with photos and text then choose to send it to yourself for signing (at no charge) or directly to your recipient for an additional $0.44 (the price of a First Class stamp, so that's a wash anyhow! ).